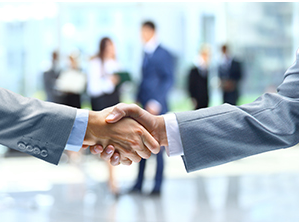 We have many years of experience in business sales, management, ownership and consultancy. Whether you’re a business owner, investor, or buyer we can assist. Thinking about selling your childcare centre? If you are thinking about selling your childcare centre because you’re no longer willing or able to manage it, then don’t hesitate to put it on the market. There is no need to wait for the right time because this is the right time. The childcare sector is growing by leaps and bounds. More and more investors are entering the early childcare education industry because the demand for childcare services is increasing at a rapid pace. You can be sure to find a buyer for your centre if you decide to put it on the market. There are plenty of corporate and institutions who are willing to invest in childcare centres. The childcare sector is expected to grow at a rate of more than 14% per annum and generate more than $12 billion revenue. The condition is ripe for you to find a buyer for your childcare centre and get a good price for it. You just need to find a reliable childcare broker who can help you to make an informed decision. Experienced brokers have solid connections and they can help you to get the best returns on your investment. If you want to maintain confidentiality, you can inform your broker. Until a deal seems suitable, you can keep your intention of selling the centre under wraps. You need to present your centre in the best possible light in order to attract buyers. For this purpose, you have to find your unique selling point and highlight it during negotiations. The special services and amenities that the centre offers can give your sales pitch the right effect. You can also go for touch-ups and repairs if they are glaringly visible and are bound to leave a bad impression. You will need to also focus on the legal aspect which includes the time period that goes into the transfer of license. It usually takes up to six weeks. You should keep the news concealed until the contract is signed and settlement is unconditional so that your employees and parents don’t panic and leave the centre. Selecting an industry experienced professional agent is paramount to achieving the desired outcome in the shortest possible time and achieving a seamless transition of the business. Childcare centre businesses are a specialised industry operating under the National and State Regulations and Standards. An important of consideration is the amount of government funding paid to the childcare centre which subsidies parents fees. This will be an important area of consideration for Buyers in the purchase of a childcare business. Such issues can result in a complex process and may contribute to some anxiety in Seller and Buyer relationships. With the assistance of an industry professional agent providing guidance to both parties, these issues will be managed so as to achieve a satisfactory sale. Similar to relying upon qualified advice from lawyers and accountants, your agents also needs to have professional and knowledgeable qualities and expereince.